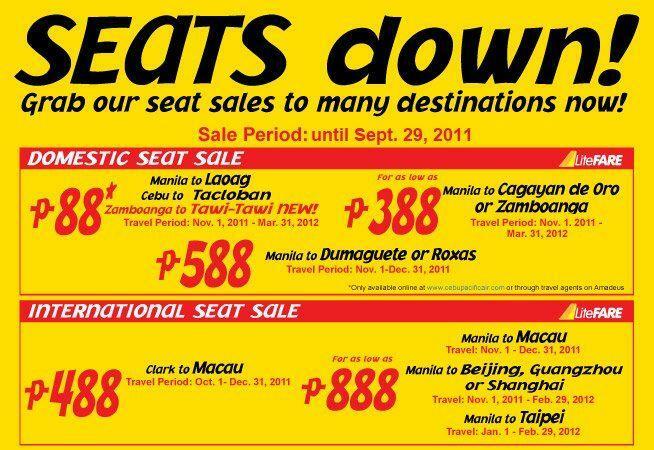 Booking Period is from September 26 to 29, 2011 or until seats last. As Low as P88 on your favorite Domestic seat. As Low as P488 on your favorite International seat.